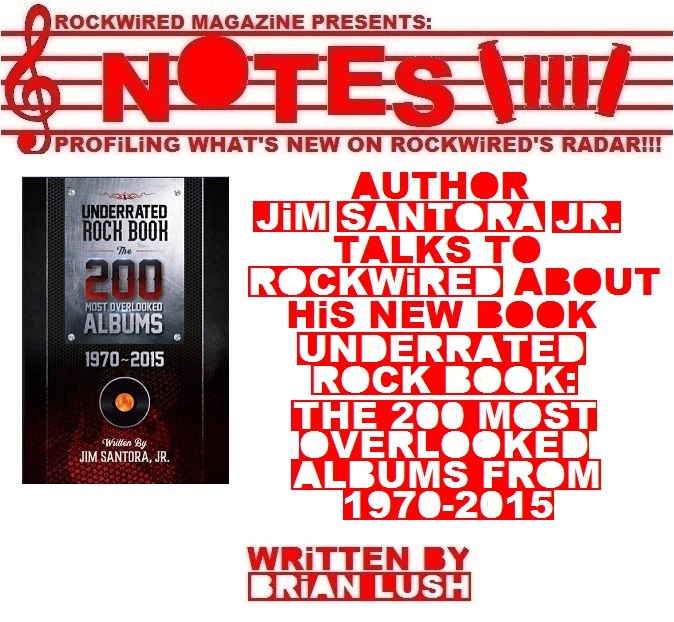 "ROCKWiRED NOTES: JiM SANTORA - THE UNDERRATED ROCK BOOK | AUTHOR JiM SANTORA TALKS TO ROCKWiRED ABOUT HiS NEW BOOK THE UNDERRATED ROCK BOOK - THE 200 MOST OVERLOOKED ALBUMS 1970 - 2015!!!" he "underrated rock album" is on the verge of becoming extinct in an age where we download a particular song that we want to hear as opposed to an entire album. And usually, for free. 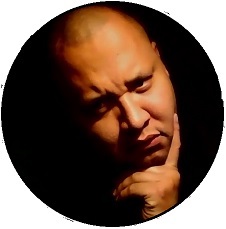 The LP, in general, is a lost art when things like SPOTIFY, AMAZON and iTUNES have turned music shopping into a buffet of sorts instead of the tactile shopping experience that myself and author JIM SANTORA, JR. remember. With all of that being said, SANTORA's new publication THE UNDERRATED ROCK BOOK is not just a curious read. It is a read with a sense of cultural urgency working in it's favor. In this book, SANTORA picks two hundred underrated albums from the period of 1970 to 2015 and examines each one's worth carefully, using simple, "everyman" language without all of the dismissiveness of a ROBERT CHRISTGAU review. This list of two hundred albums is commendable even though we're left scratching our heads over why an album is considered underrated. SAP by ALICE IN CHAINS, CHECK YOUR HEAD by THE BEASTIE BOYS and PANORAMA by THE CARS all made the cut yet those albums went gold and platinum respectively. Why are they underrated? Who cares? Going through the list and pointing things out like this is half the fun of the UNDERRATED ROCK BOOK. SANTORA may want to consider publishing multiple volumes. 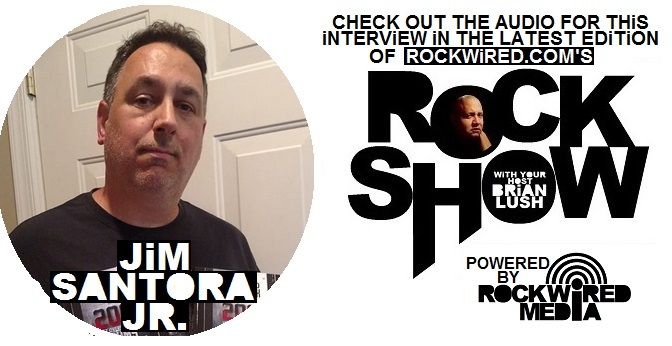 ROCKWIRED had a chance to speak with JIM SANTORA, JR. regarding the new book. Here is how the interview went. Anything having to do with rock albums is exciting reading material for me and you've got a sound idea for the UNDERRATED ROCK BOOK. It's only a few days away from being released. What's all going through your head about the pending release? I feel pretty good. It's been a long time coming and we're getting pretty close now. It's just going to be a matter of promoting and getting the word out and seeing what happens. Hopefully, people will get interested. What was your inspiration for putting a book like this together? Throughout the years, I've always been into rock music in general. I've been a DJ in college on internet radio. I had my own mobile business at one time and I've been in a few bands and have done some promotion work for the local scene here in New Jersey and Philadelphia. 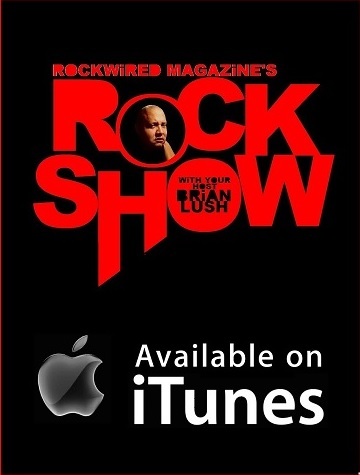 Toward the end, I had a radio show and a radio station called SH ROCK and after a few years, I had shut it down. This was around 2015. I stopped my show because I just got to a point to where I had done all of these different things and I had always had an interest in putting a book together that was music related. I had a friend who used to call me UNDERGROUND JIM, because when I was in college, I was finding all of these different bands that were out there that no one else had ever heard of and I was always looking for different things and different sounds and then it kind of clicked that this was the book that I needed to write. 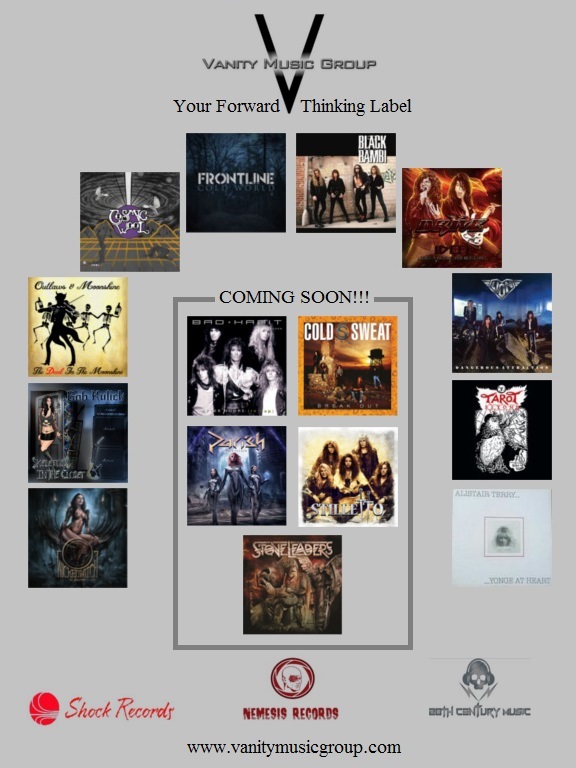 I went through a process of setting up a game plan for what albums I was going to feature in the book. It all kind of happened from there. The first one hundred albums were pretty easy to come up with because they were all at the top of my head. But for the next two years, up until the completion of the book, I had a lot of people who had come up with some suggestions for what could be added to the list. Basically, this book is two hundred reviews that are anywhere form 250 to 300 words long that explain why these albums are overlooked and underappreciated. So it was more than just you coming up with this list of two hundred overlooked albums? Correct! I've probably listened to thousands and thousands of bands and albums. My collection is fairly huge, but there was a point for me where I had to say "Where do I go with this?" Fortunately, I have contacts that are internet radio disc jockeys that I've been friends with over the years and across the country. I was able to get the word out about this project and was able to get some assistance in coming up with other titles to be featured. It was really good to see the response that I was able to get from these people! There were artists that I wasn't even familiar with, which was great because then I started listening to stuff and going "Wow! Why didn't I know this band before from the seventies or early eighties?" Hell, there were even a few nineties bands that I didn't know about that ended up being in the book. It was a breath of fresh air for me. Not every artist or album that was considered made the cut. There were some that I listened to that I wasn't so sure about. There were definitely some that got pushed aside by me. With such a finite number of albums, it must've been difficult to cut something or reconsider something. This is a book with two hundred albums on it. Obviously, it's my opinion, but what I'm hoping is that someone is going to read this and they're going ot go "Wow! I agree with what JIM is saying here!" There have only been about two or three people that have assisted in editing the book, and of course KEVIN McELROY who drew the cover for the book. They all read the book and came back to me and told me that all of this was great, but they told me that some of the bands featured weren't to their taste maybe because the genre or whatever, but there were a lot of albums listed in the book that made them want to go home and check them out. Some of the albums listed were ones they didn't remember. That is kind of the reaction that I'm hoping for from the audience who sees this book and wants to check it out. I want people to be intrigued by the book. You might have enough to consider for a second volume of this thing. The funny thing about that is that I have another close friend of mine who thought of another band and album that could've been added to the book after he had read the proof. Automatically, you start thinking about other artists that could've very well been considered for the book. so the mind is already going in that direction. So there is a strong potential for a second book to be put together. There are plenty of other albums out there. I could've gone for more than two hundred albums, but I thought it was a good number to stop at and allow people to digest. If we go to another book, maybe we'll do another two hundred albums and see where that goes. But the opportunity is there. The book is going to be available through KINDLE. Are there any plans to make a book like this more of an interactive experience. I'm trying to tie something together with YOUTUBE with the different albums that are in the book. I'm interested in tying certain music videos to this project and adding that to my website. I really want to do some interactive stuff. There is also the possibility of a podcast which will give us the outlet to talk about different albums. In putting together this book, it was really great to see some of these bands get really excited about being included in it. They offered to give us whatever they needed in the way of photos and that kind of thing. We tried to get photos of these bands when they were in their prime. If a band was from the eighties, we wanted a photo from that time. It was nice to get that kind of feedback from the bands. Out of the list that you have compiled for this book, what titles ended up standing out for you as most underrated? One of the things I have in the book is this chapter on underrated rock lists. I put together a few lists for this book such as '10 Bands I Became a Fan of While Writing the Book!" or 'Most Overlooked Artist or Band of All Time' One of the very first lists that I have in this book is the 'The 15 Albums in the Underrated Rock Book That You Need To Hear!' In that list, I feel, are the most essential albums in this book. These would be the 15 albums that you would need to listen to. Obviously, you would need to judge that for yourself. A couple of titles that come to mind are CHEAP TRICK's album ALL SHOOK UP from 1980. Another title would be AEROSMITH's NIGHT IN THE RUTS. 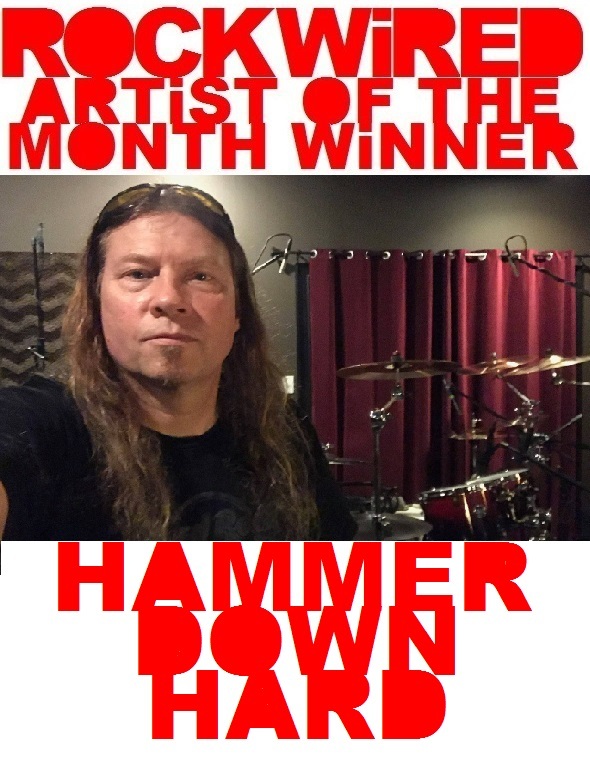 Another one would be KING'S X with EARCANDY and THE ART OF REBELLION by SUICIDAL TENDENCIES. There is all kinds of stuff on the list. 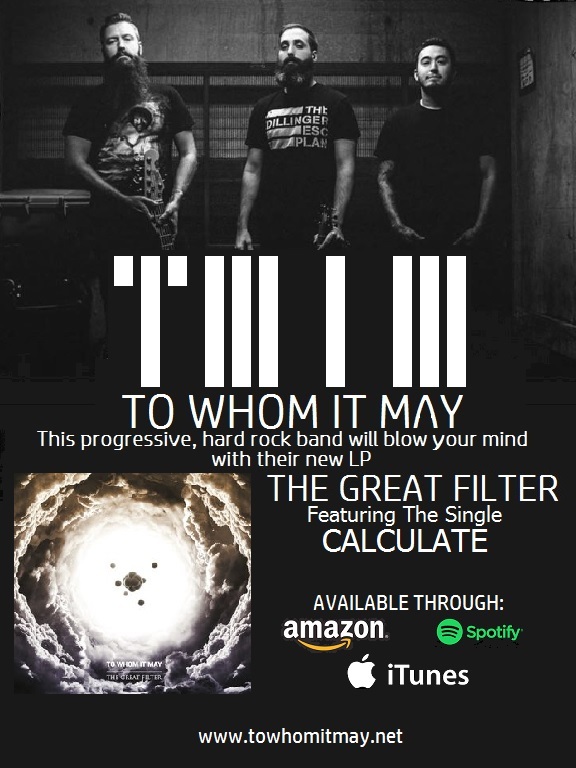 There are some punk bands and some alternative rock bands, but the albums I named are the key ones that I would recommend that people check out again. Get the book on Amazon!! !